Apple bananas are distinguished by their size, texture and flavor. Apple bananas are stout and plump, with a thick taut peel. The light, cream colored flesh's texture is firm when young growing to be tender and creamy when ripe. When young the Apple banana is both tangy and sweet with apple nuances. As the fruit ripens, it will develop a far more tropical flavor profile, with notes of pineapple and strawberry. The Apple banana has a memorable, complex scent marked by a strong tart-apple aroma. Apple bananas are available year-round. There are two wild species of bananas that are the ancestors of all banana cultivars: Musa acuminata and Musa balbisiana. The Apple banana, also known as Latundan, Manzano and Silk banana, is a hybrid cultivar of the Musa balbisiana banana plant and a member of the Musaceae family. Apple bananas contain a significant amount of potassium and fiber and are higher in vitamins C and A than common bananas. 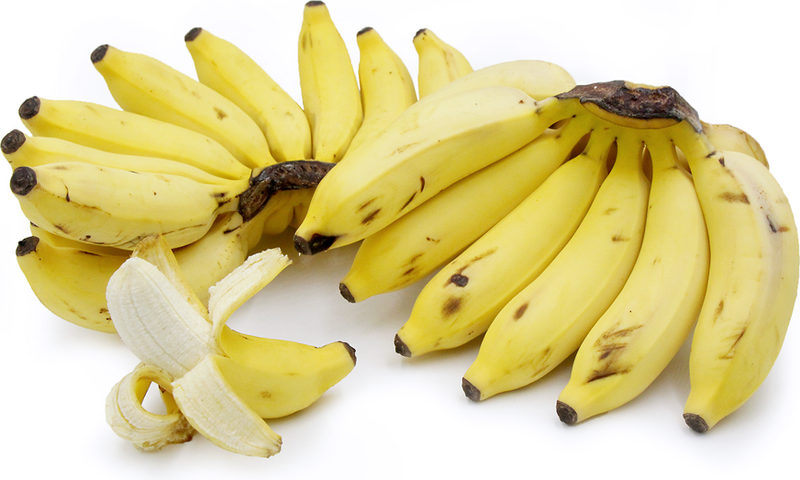 Apple bananas are commonly used as a dessert banana once they reach peak maturity. They can also be used in savory dishes both cold and hot. The sweetness of an Apple banana can be paired with other sweet and rich ingredients. It can also offer a contrast to tart and sour flavors. Complimentary pairings include apples, stonefruit, berries such as strawberries and blueberries, citrus, lemongrass, cream, yogurt, bacon, smoked meats, mint and nuts such as cashews and macadamia nuts. The Apple banana is native to Central and South America. It is grown in subtropical and tropical regions, specifically the Hawaiian Islands, Honduras, Malaysia and Mexico. The Apple banana (Latundan) was first named after Claude Letoundal. Letoundal was a French missionary from India who introduced the banana in the Philippines where it remains the most popular banana grown in within the Philippines. The Apple banana is not grown for large scale commercial production, thus its culinary relevance is mainly within its growing region. Recipes that include Apple Bananas. One is easiest, three is harder. 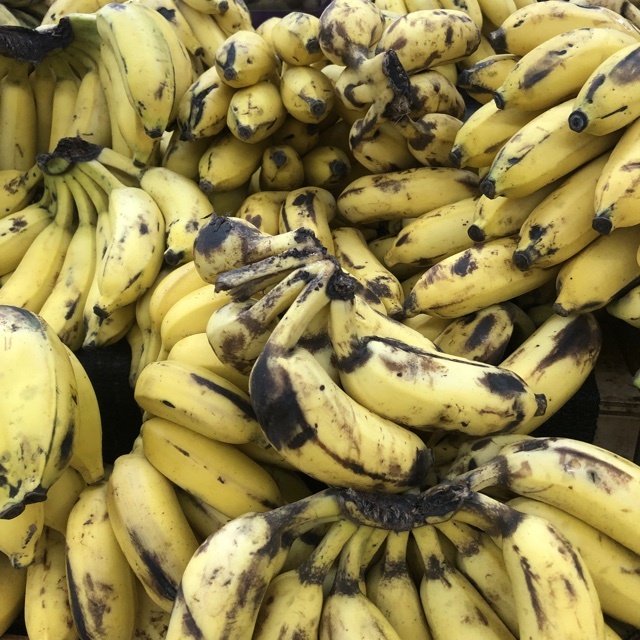 People have shared Apple Bananas using the Specialty Produce app for iPhone and Android. 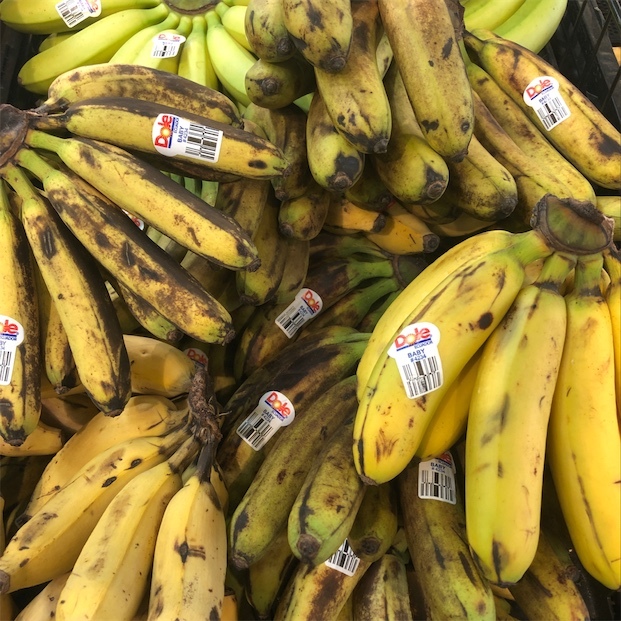 Sharer's comments : Apple Bananas spotted at Seafood City. 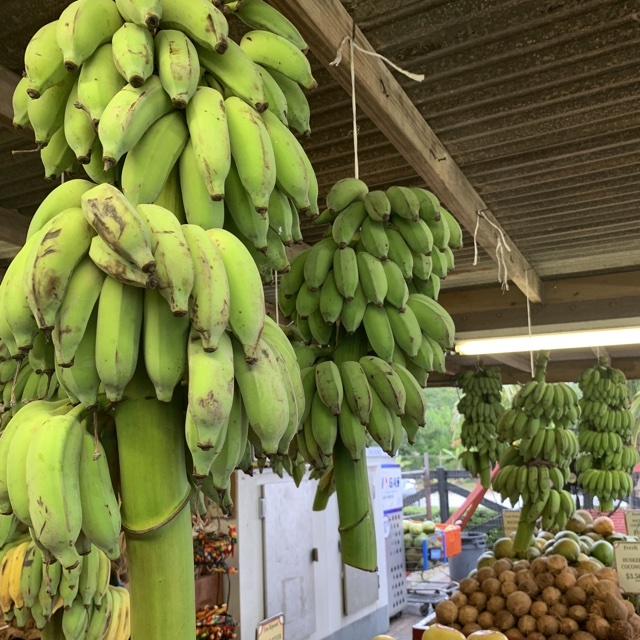 Sharer's comments : Apple Bananas spotted at Robert Is Here Fruit Stand & Farm.